How to get the ideas flow? What if the others think our idea is lame? What if we fail? These are some of the reasons why people struggle with innovation and I have also find myself pondering these same questions. I started my Master’s Degree Programme in Customer-oriented Service Development with master class of Practical Design Thinking facilitated by two inspiring specialists, Design Professor Katja Tschimmel and Innovation consultant Gijs van Wulfen. The theme of the course was to get into the concept of Design Thinking, test different design thinking tools and the FORTH-innovation method in a concrete case. In this post, I’d like to share some of my findings from the class. I have summarized them as the four things to remember during the ideation process. Comparing some of the best known design thinking models Tschimmel (2012) presents in her article it is clear that the first step to take before ideation is to understand the customer, identify the problem or the opportunity and observe them to get inspired. She concludes that these insights are important for later idea generation session. According to van Wulfen (2013) the reason why brainstorming process don’t bring up any ideas is the lack of preparation. It’s all about getting new ideas from exploring ”customers relevant future problems”. I must admit that it was hard to produce ideas without deeply understanding the concepts or the problems behind the given topic. And I cannot deny that the lack of preparation had an negative effect on our whole innovation process. Multidisciplinary teamwork, simple but effective tools, virtual work, visualization, prototyping, design thinking… There are tons of different tools designers can use in their work. 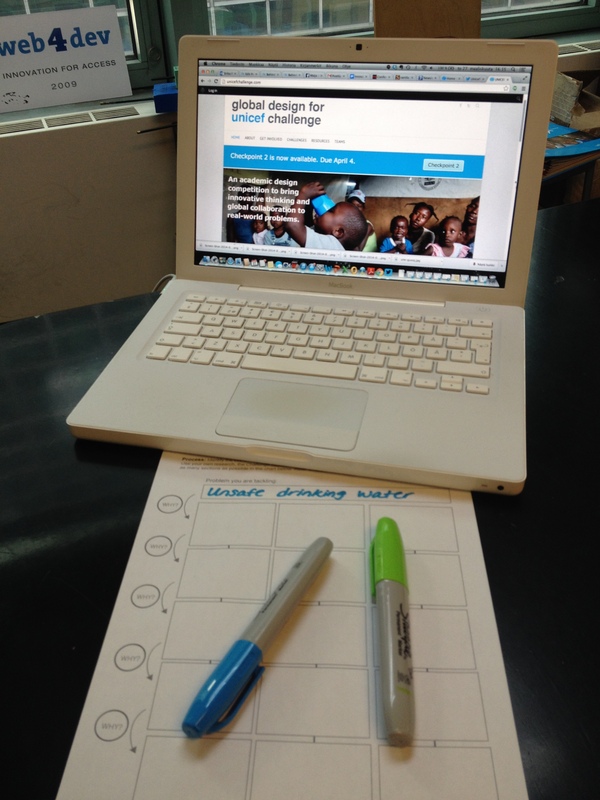 This is my final blog post about the designer tools our innovation team uses in our everyday work here at the UNICEF Headquarters in New York. This time I’ll introduce two projects relating to Design Thinking and discuss how this discipline has helped us to approach things from new angles and to perceive projects from the user’s perspective. 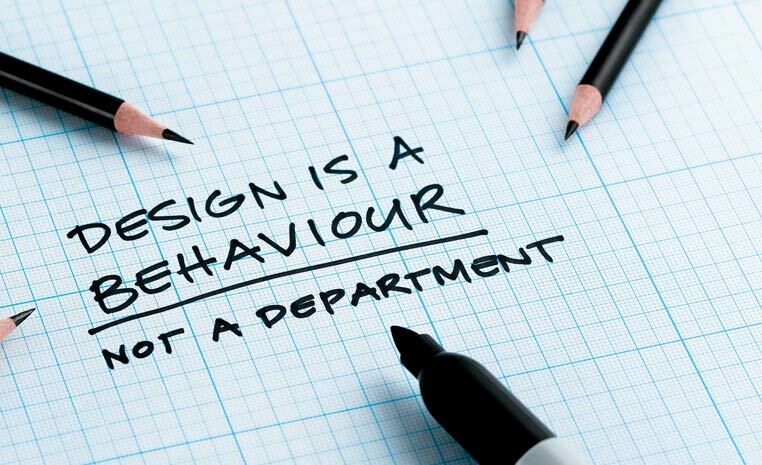 Designing with the user is possibly the most crucial part of design and prerequisite for successful solutions. I hope you have enjoyed reading about our way of working and that my posts have provided you with inspiration for your own work. Norah Maki, our Project Assistant, is also an MFA (Master of Fine Arts) candidate in the Design for Social Innovation Program at School of Visual Arts. Because of her background she pursues design thinking in her work. Her main project is the Global Design for UNICEF Challenge, an academic partnership and design competition that engages students in coming up with creative solutions for pressing development problems. This year the Challenge is being scaled to include new universities outside The US, beyond The City University of New York (CUNY) that has served as the flagship partner for the competition. In the process of moving towards the global Challenge, Norah has developed the competition curriculum and provided the students with more design thinking tools. This enables them to approach the challenges from the user’s perspective and to design feasible solutions that fit the problem context. The competition process now includes the following tools to encourage creative thinking from students and help them accomplish all competition checkpoints: User Journey, 5 Why’s, Stakeholder Mapping, co-creation, and consultation with experts. The winners will have the chance to go to the field to test their prototypes and do some actual co-creation with the users: the children!